Politician and father to bike across Canada for cancer research and in memory of son. 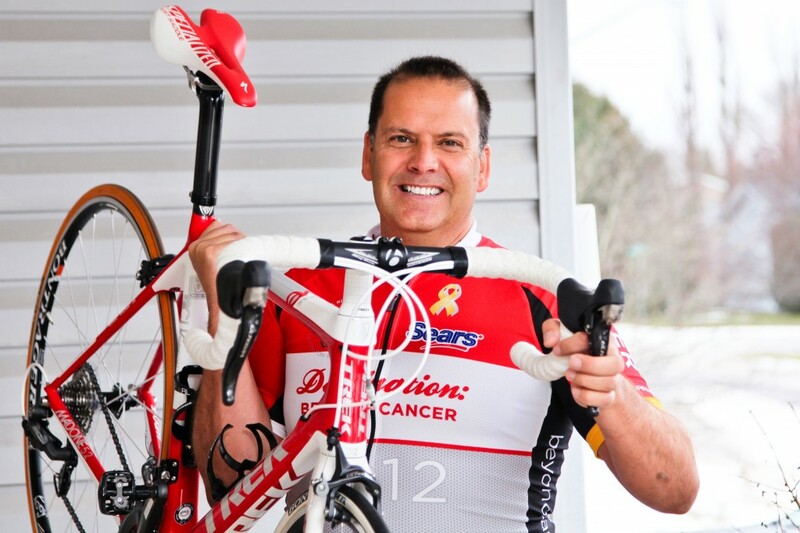 New Brunswick MLA Chris Collins is taking a break from the legislature and instead taking to the bicycle to raise money for cancer research. Motivated by his son, Sean, who lost his battle to cancer a few days after his 13th birthday, Collins is gearing up to cycle 7,000 km in 17 days as a participant in the Sears National Kids Cancer Ride to fundraise for research on the disease that took his son’s life. Starting in Vancouver on September 5th, Collins and his team will pedal through wind, rain, heat and cold as they make their way through the mountains of the West, the Prairies, Northern Ontario then finally landing in Halifax on September 21st. Prior to training for the ride, the 51-year old wasn’t in great physical shape. “Your health isn’t a concern when your child is fighting cancer. You eat what you can and you eat when you can and sometimes you overindulge,” he says. Collins weighed in at 230 lbs at the end of his son’s life. He began training for the epic ride last fall with spin classes at the local YMCA and is now putting 100 to 140 km on his bike regularly, sneaking in a ride between caucus meetings. He has already lost 35 lbs. This ride will not only be a physical challenge for Collins, but an emotional one. Each day, riders meet children with cancer and the families of those who have passed, something Collins hopes will be a cathartic experience. A laminated photo of his son will be tied to his crossbar all the way across Canada, providing inspiration and motivation to get through tough road conditions. Sean Collins was diagnosed with rhabdomyosarcoma alveolar when he was nine years old. “He was a very caring kid with a strong social conscious and a bit of a philosopher,” says Collins. Together with author Martin Latulippe, the young Collins wrote a book called Ten Needles, named for the number of needles he received each day. The book became a local bestseller, raising over $200,000 for the Pediatric Oncology centre of the Georges L Dumont Hospital. Participating in the SNKCR will provide Collins with an opportunity to live the spirit of his son’s wisdom. “My favourite quote by Sean is ‘live everyday like it’s your last day of school: happy and excited for the day, for the moment’,” says Collins.